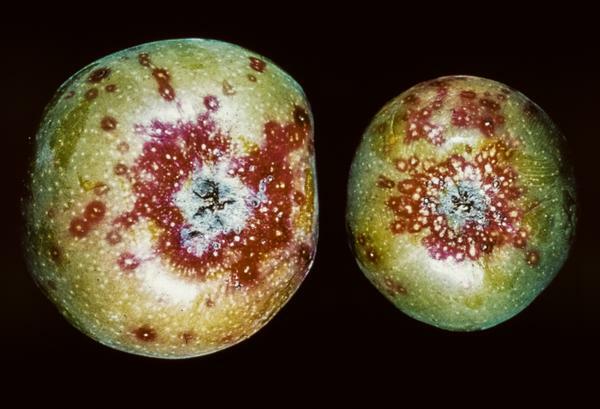 San Jose scale (Quadraspidiotus perniciosus; SJS) is native to China and was introduced to the United States in the late 1800s. 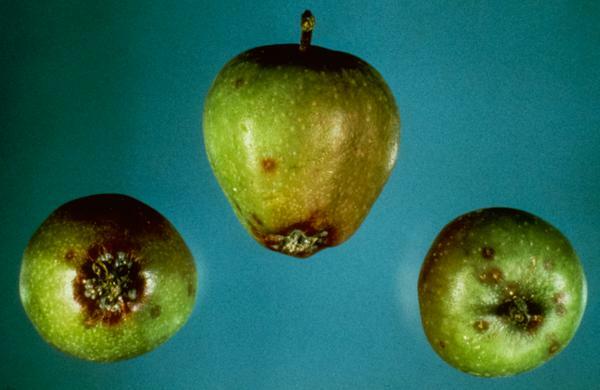 In addition to apple, it attacks a wide range of woody plants. 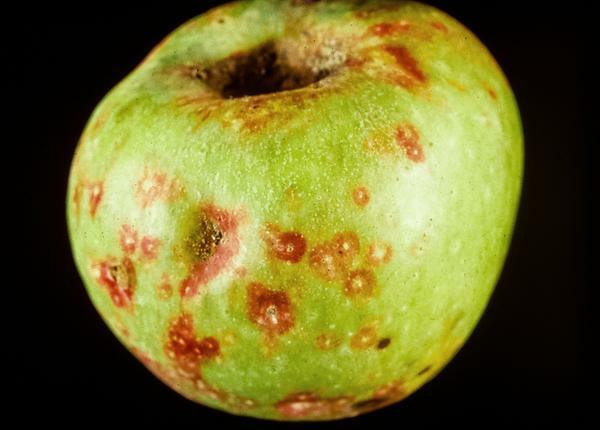 It can be difficult to detect before damaging populations occur. 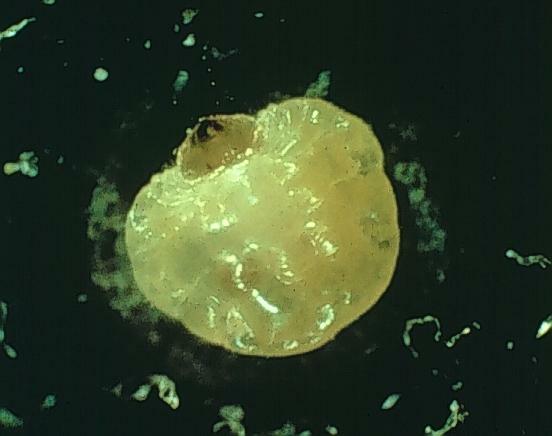 An adult SJS female is sessile, about 1/10 inch (2.5mm) in diameter, round, and white to gray with a raised spot in the center. Males have functional legs and wings and develop under a slightly smaller, more elongated scale covering. Active immature scales (crawlers) are 1/100 inch (0.25mm) long and bright yellow. Though the wingless females never emerge from the scales, males do emerge to fertilize the females in spring. SJS adult male in pheromone trap (wings nearly invisible due to sticky surface). SJS overwinter on twigs as nymphs under waxy scale coverings. In early spring they resume feeding, and adult males emerge and fertilize females around late April (mating directly through the females' waxy coverings). 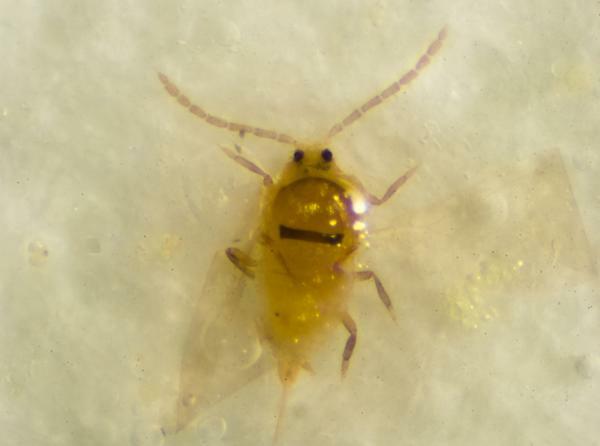 Females give live birth to approximately 400 young starting in mid-May, and nymphs crawl around the plant searching for a place to insert their long mouthparts. 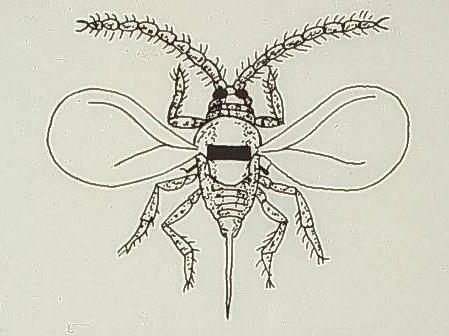 If a nymph is female, she will shed her skin, lose her legs and antennae, and become a flattened sack attached to a twig or fruit. Very soon after settling she will secrete a waxy covering that hardens into the protective scale where she spends the rest of her life. Males also lose legs and antennae after attaching to the plant, but they eventually redevelop these parts to emerge and seek out females. There are four generations of SJS each year, with crawlers active for much of the period from May through first frost. All life stages of SJS remove sap from trees. 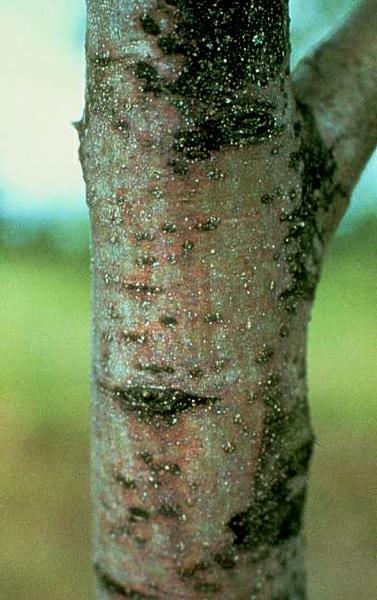 Low numbers do not cause damage, but populations can increase rapidly until the entire surface of the bark is covered and fruit exhibits reddish rings where scales attach. 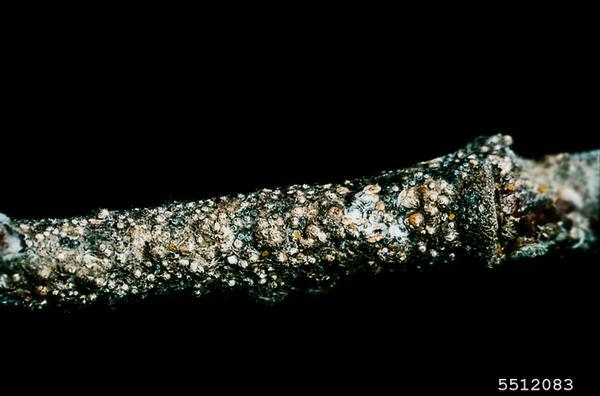 Heavily infested trees suffer from diminished vigor and thinner foliage, and may die if left untreated. 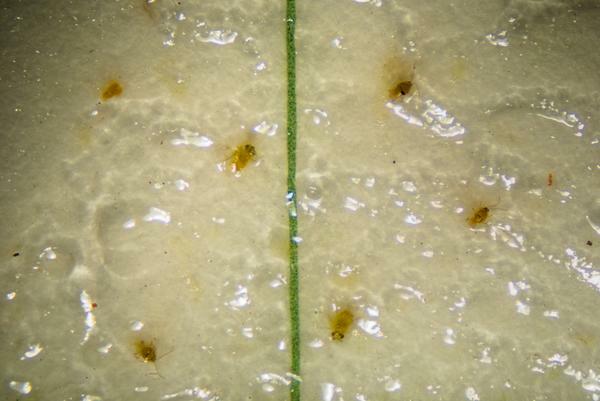 Populations can be monitored by either checking adult male emergence or crawler emergence. 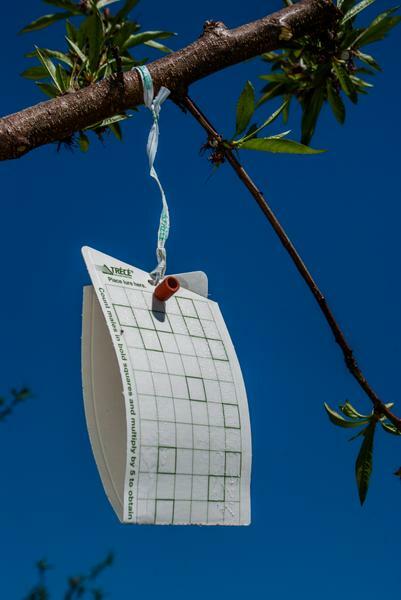 For adult males, pheromone traps should be placed in trees with known active populations (if any) at the pink stage. Crawlers can be monitored by wrapping black electrical tape that has been coated with petroleum jelly around infested branches. First sprays can be timed as adults are caught in the traps or crawlers caught on the tape.